One in three Australians is at risk of developing kidney disease, yet most of us don’t do anything to prevent it. We explain how to make sure your kidneys last a lifetime. Most of us don’t give our kidneys much thought, but we can’t survive without them. 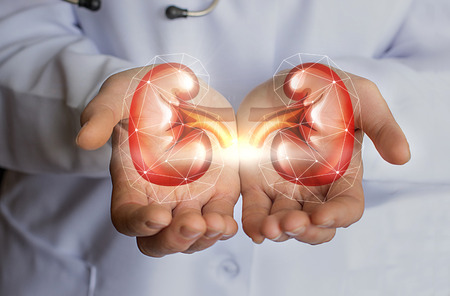 According to Kidney Health Australia, one in 10 Australians over the age of 18 have at least one clinical sign of chronic kidney disease, and this is on the increase. At the end of 2016, more than 12400 Australians were receiving dialysis and in January 2018 almost 1000 Australians were waiting for a kidney transplant. Fortunately, there are many things we can do to keep our kidneys functioning as they should. You can lose up to 90 per cent of kidney function before you have any symptoms. By the time you realise there’s something wrong, it may already be too late. Once the kidneys are damaged, this usually cannot be reversed. But if detected early enough, the progress of kidney disease can often be slowed and sometimes even halted or reversed. Diabetes and high blood pressure are two of the most common causes of kidney disease. The main role of our kidneys is to remove waste from the blood and return the cleaned blood back to the body. They do this via tiny filtering units, called nephrons. Each kidney contains about one million nephrons which filter and clean about 200 litres of blood every day. When blood passes through the nephrons, fluid and waste products are filtered, with the waste products concentrated in any extra fluid and removed from the body as urine. When the kidneys are damaged, however, waste products can no longer be removed from the body so they build up and become toxic. Urea (produced when the body breaks down protein), creatinine (a waste product made by the muscles) and minerals including sodium, potassium and phosphate can all build to dangerous levels. The kidneys also become unable to remove excess fluid from the body, resulting in fluid retention. Fruit and vegies. Eat plenty of fresh fruit, vegetables and salads – these are packed with important vitamins and minerals, are low in kilojoules, fat-free (apart from avocados) and contain little sodium. 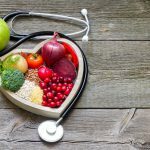 Research has shown that eating more fruits and vegetables can help to reduce blood pressure, which in turns reduces the workload on the kidneys. Wholegrains. Choose wholegrain breads and cereals, particularly those with a low glycaemic index (GI). These are a good source of important vitamins and minerals to help keep blood pressure in check and are high in fibre, which can help to lower cholesterol. Low-GI foods also help manage blood glucose levels in those with diabetes, and can reduce the risk of diabetes in those who don’t have it. Healthy fats. Limit saturated and trans fats – these are found in fatty meats, full-fat dairy products, biscuits, pies, pastries and many fast foods. Trans fats increase cholesterol levels in the blood and can increase the risk of type 2 diabetes. Instead, choose foods rich in healthy fats such as nuts, seeds, avocados and olive oil, which also have other health benefits. Animal protein. Avoid excess protein, particularly from meat. Research has shown that a high intake of animal protein can accelerate the loss of kidney function in those with early kidney disease. Since most people have no symptoms in the early stages, this means that following a high-protein diet could be unknowingly damaging your kidneys. If you want to follow a high-protein diet, have your kidney function checked first. For those with early kidney disease, appropriate protein restriction may slow down the progression but should always be done under the supervision of an Accredited Practising Dietitian. Plant protein. Swap some animal protein for plant protein such as legumes and soy foods including tofu, tempeh and soybeans. Research suggests that high intakes of animal protein increase the workload on the kidneys, while soy protein has a lesser effect. A number of studies of people with diabetes have found that diets in which animal protein is replaced with soy protein can reduce the progression of kidney disease. Water. Drink water – but there’s no need to overdue it. According to Kidney Health Australia, there is a lack of evidence to suggest that most of us need to drink water in excess of our thirst, unless we are living in hot climates or exercising excessively. Instead, they recommend drinking water according to thirst, limiting drinks containing sugar, caffeine and alcohol which may cause or worsen health problems. Reduce salt intake. Skip the salt shaker – salt increases blood pressure, and estimates suggest that high blood pressure causes around 15 per cent of new cases of chronic kidney disease. High blood pressure damages the blood vessels in the kidneys, which prevents the kidneys from doing their job of removing waste and extra fluid from the body. The extra fluid in the blood vessels can then raise blood pressure even further, becoming a vicious cycle. High blood pressure can also develop as a result of kidney disease or a narrowing of the main artery to one or both kidneys, called renal artery stenosis. Replace salt in your cooking with flavoursome herbs and spices and choose no-added salt or low-salt foods when shopping, particularly when it come to canned foods and sauces. As a rough guide, look for foods with less than 120mg sodium per 100g. 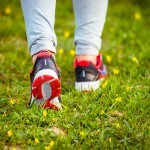 Exercise regularly – regular activity can help with weight control and managing blood pressure and blood glucose levels. Eat a healthy diet based around plenty of fruit, vegetables and wholegrains, moderate amounts of lean protein foods and only small amounts of foods high in fat, sugar and salt. Drink plenty of water and limit sugary drinks. Drink alcohol only in moderation – this means no more than two standard drinks per day for men and one for women, with a few alcohol-free days each week. 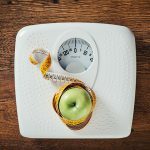 Maintain a healthy weight – being overweight increases the risk of high blood pressure and diabetes, both of which are major risk factors for kidney disease. Keep your blood pressure well controlled – this means a blood pressure reading below 120/80. Maintain a normal cholesterol level – under 5.5mmol/L. Keep blood glucose levels under control if you have diabetes. How can I tell if I have kidney disease? Changes to urine, such as the quantity passed, especially at night. Puffy eyes and ankles due to fluid retention. Back pain (under the lower ribs, where the kidneys are located). Consult your doctor if you have any of these symptoms – early detection is key to managing kidney disease. For more information, see www.kidney.org.au. 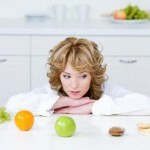 This article has been updated from an article originally published by Australian Healthy Food Guide. The original article appears here.